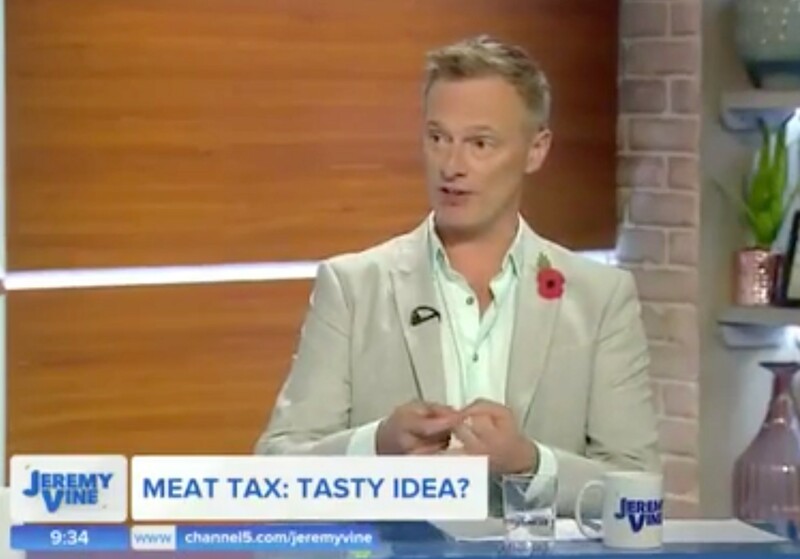 Journalist Martin Daubney - former Editor of Loaded magazine - says a 'tax on vegans' would be better than the 'nonsense' proposed meat tax. He made the comments while appearing on Channel 5's Jeremy Vine Show to discuss potential taxes on red and processed meat - which could save 6,000 lives a year and £70 million on healthcare, according to researchers. But Daubney blasted the proposals saying it was an unfair tax on the poor. "I'd like to flip this on its head and say that we should tax vegans," he said. "I'll tell you why. Because this is an absolute nonsense. "The 6,000 deaths per year - they don’t live forever. They're not like Doctor Who. They just die of something else. "The £70 million saved isn't saved because if you look at the age that we die at now we're getting older and the longer we live the more expensive we are to the NHS. Two-fifths of the NHS budget goes on the over 65s." He added that the proposed tax was 'an ideologically opposed resistance to consuming meat dressed up as taxation'. "[It] won't affect rich people - it will hammer the poor," he said. "And they won’t change their habits anyway - they'll just be down the chicken shop eating more junk."